Hope you’re having a fabulously football Friday – we can’t contain our excitement for this weekend’s Premier League action. The champion of the goalies last week was Everton’s Maarten Stekelenburg, who displayed some truly mouth-watering saves which left Manchester City running for the hills. We awarded Stekelenburg our #SuperSaver of the week award, and rightly so – he only conceded one goal from 19 bulleted shots. Last week we had an action packed couple of days. Bitter rivals Manchester United finished off the weekend’s action at Anfield where both teams were held to a 0-0 draw, how boring. It was José Mourinho once again who tactically parked the bus on the opposition, stifling a win for Liverpool who couldn’t break the deadlock and score past David de Gea. The Spanish first choice goalkeeper put in a brilliant performance against Liverpool, majestically parrying away a second half thunderbolt struck by the Brazilian Philippe Coutinho. Who’s going to win this week? Every Friday, ahead of the weekend games, we make a little prediction of who we think the #SuperSaver of the week is going to be. 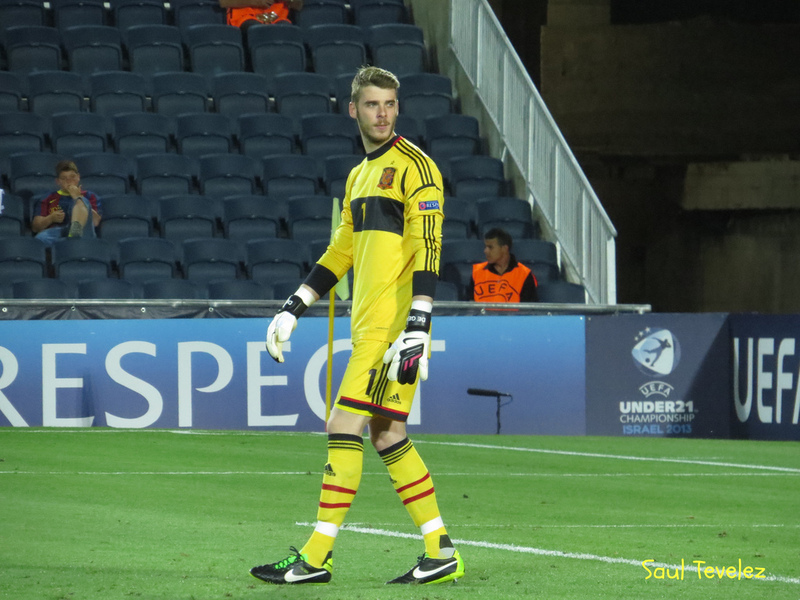 This week, because of his terrific performance against Liverpool last week, we are picking the amazing David de Gea of Spain. Although Manchester United are struggling at the moment – five points off the top spot – De Gea has been a real shot-stopper so far this season. 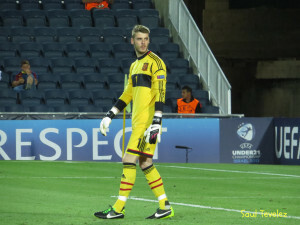 His skillful performances for Atlético Madrid attracted the attention of Manchester United, who then signed him in June 2011 for £17.8 million – a British record price for a goalkeeper.